Are you ready to move towards exciting paradigms, in a dynamic business environment? Are you a go-getter who thrives on challenges and believes in pushing yourself to greater heights? We invite you to join our team of professionals and progress your career towards exciting milestones. Credit Passes for Mathematics and English at the GCE 'O' Level Examination. Good negotiation and customer relationship skills. Excellent prospects for career development await the successful candidate. 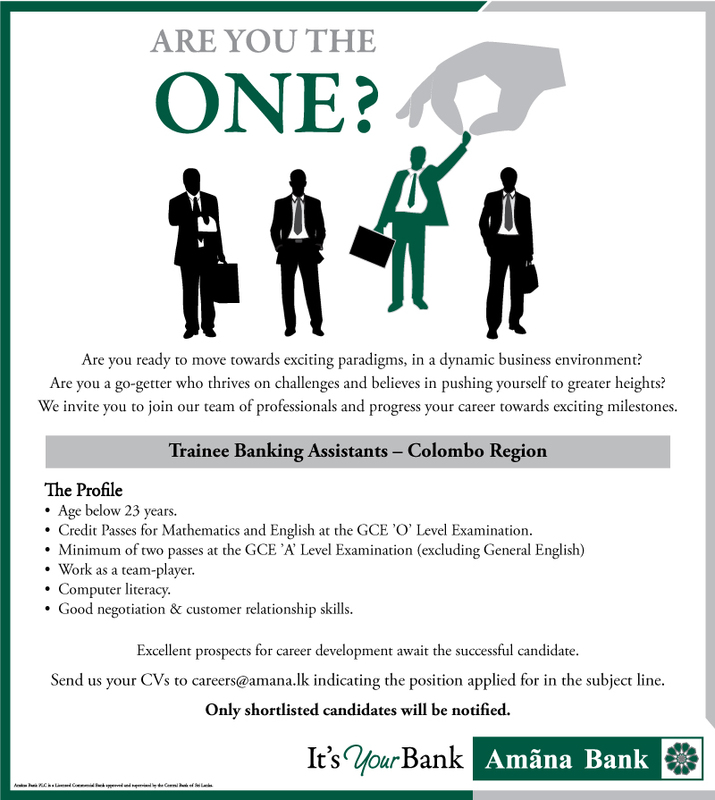 Send us your CVs to careers@amana.lk indicating the position applied for in the subject line.